I have some regional cookbooks in my collection. Of them, my favorite for the MidWest is Land O Lakes, for the South I favor the Southern Living Collection. 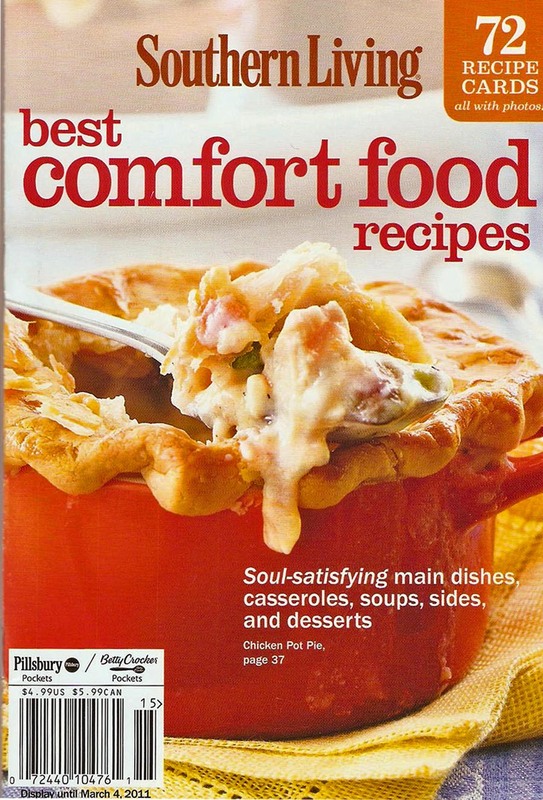 When I saw this new Southern Living best comfort food recipes, in the store recently I was sure it would have equally as good recipes in it as most of my other Southern Living books. Turns out I was right. Both Sue and I had no trouble finding recipes to try. This was published in 2011 and the publisher was Oxmoor House. We hope you enjoy the recipes from this book and will buy one yourself so that you may try other recipes that we do not have room to use on this blog. Southern cooks are among some of the best in the US., and this book again proves that. Enjoy the recipes from this recipe booklet.